Robert M. Johanson er en freelance utøver, komponist og regissør i New York. Han er en av grunnleggerne av Nature Theatre of Oklahoma, og har spillt med dem i No Dice, Poetics: a Ballet Brut, Romeo og Julie, No President og komponert musikk for og spilt i Life and Times: Episodes 1-9, som vant en Obie-pris i 2013. Robert har jobbet med mange andre teaterkompani både i New York og utlandet, inkludert: Elevator Repair Service, 7 Daughters of Eve, Radiohole, Witness Relocation, Jim Findlay, Von Krahli, Teater Ibsen, Lithuanian National Drama Theatre and Spreafico Eckly. Robert M. Johanson is a freelance performer/composer/director in New York City. 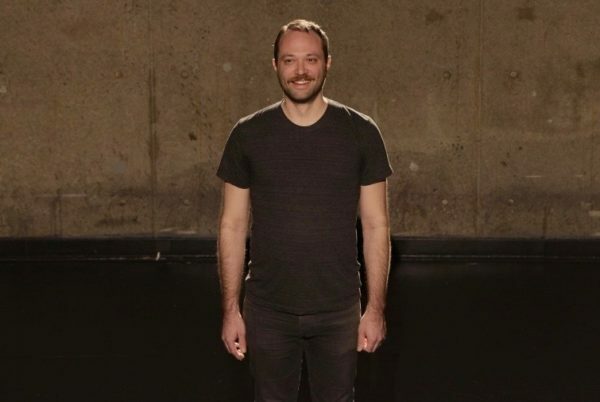 He is a founding member of Nature Theater of Oklahoma, and has performed with them in No Dice, Poetics: a Ballet Brut, Romeo and Juliet, No President and composed music for and performed in Life and Times: Episodes 1-9, part of which won an Obie award in 2013. Robert has worked with many other companies both in New York City and abroad including: Elevator Repair Service, 7 Daughters of Eve, Radiohole, Witness Relocation, Jim Findlay, Von Krahli, Teater Ibsen, Lithuanian National Drama Theatre and Spreafico Eckly.